AMITY, Ore. — Chris Williams has established himself as one of the Pacific Northwest’s top producers of Riesling at Brooks Wines, but his calling as a winemaker in Oregon’s Eola-Amity Hills began with a phone call about an Italian motorcycle. So started his relationship with the late Jimi Brooks that continues to lead Williams on a remarkable ride. Brooks soon talked Williams into helping pour some wine at special events, and Williams’ life changed forever. Sadly, Williams lost his linebacker-sized mentor suddenly and unexpectedly. Brooks died of an aortic aneurism at the age of 38 on the eve of the 2004 crush. What happened next might be the most heart-rending story in the history of Oregon wine, and it became the centerpiece for the 2014 award-winning documentary American Wine Story. A dozen Willamette Valley winemakers honored their friend by taking in the fruit for Brooks and making those 2004 wines. They urged Jimi’s sister in California — Janie Brooks Heuck — to manage the winery on behalf of her nephew, Pascal. Officially, Jimi’s 8-year-old son became the youngest winery owner in the United States. Pascal’s aunt continues in the role of managing director. 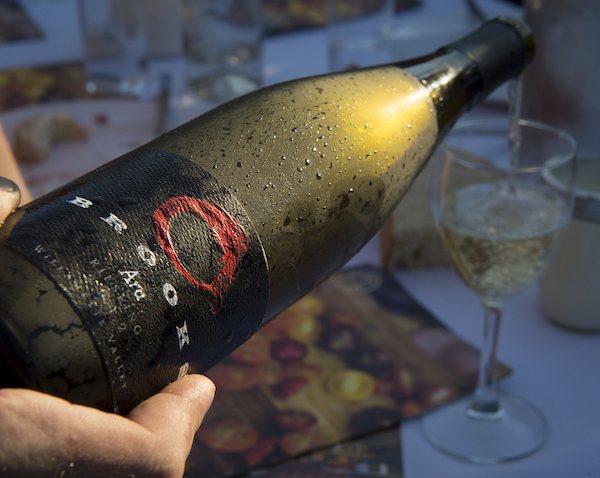 In 2005, Brooks-Heuck hired Williams to handle the winemaking at Brooks, and the door is open should Jimi’s son choose to take over his father’s winery. Pascal, who grew up in Pennsylvania, now is a sophomore at the University of California-Santa Cruz, where he’s taking some agriculture classes. He spent time working the 2015 harvest alongside Williams at Brooks. “Janie is somebody I didn’t really know very well when Jimi passed away, so it took some time to me to start to learn her and a form a relationship with her,” said the soft-spoken Williams. “But she’s very easy to talk to, great to get along with and very open to try things even though she wasn’t overly familiar with them especially with the wine industry. It became a very good relationship very quickly, and something I felt very comfortable in. “I definitely feel very honored and very lucky to be here and to have a place like this to be able to share it with people,” Williams said. Among the features in the new winery and tasting room are barrel pieces that list the names of the Willamette Valley winemakers who stepped up to make wine for Brooks from the 11 vineyards he’d contracted with for the 2004 vintage: Bergström, J.K. Carriere, Chehalem Wines, J. Christopher, Cristom, Patricia Green Cellars, Maysara, Ponzi, Ransom, Rex Hill, Solena Estates and Westery. They rank among the state’s premier producers of Pinot Noir, but Williams also has continued Jimi’s passion for Riesling. Williams worked for Brooks at Maysara and WillaKenzie, so he had the sense for the direction and risks Jimi might take with Riesling. That exploration serves as a hook for his wine club members. That thirst for Riesling puts Brooks in the same discussion as the likes of Chehalem Wines and Trisaetum, and it also has Williams on the radar of author Stuart Pigott, arguably the planet’s foremost expert on Riesling. 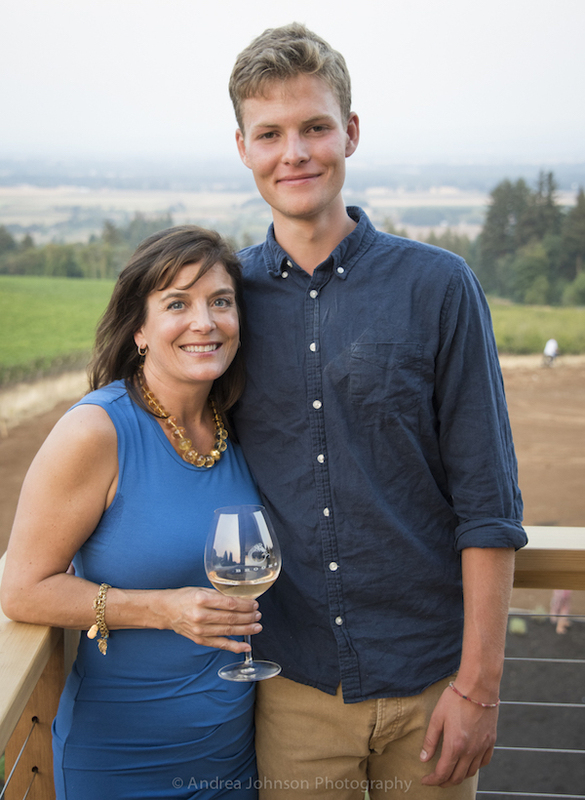 This summer, Williams again will be representing Brooks and present some of the region’s best examples of the noble German grape in Seattle at the Riesling Rendezvous, the annual international celebration that Chateau Ste. Michelle plays host to every three years. Jess Pierce, director of wine education and communications for Brooks, explained why the winery on Cherry Blossom Lane continues to make a name for itself internationally with Riesling. 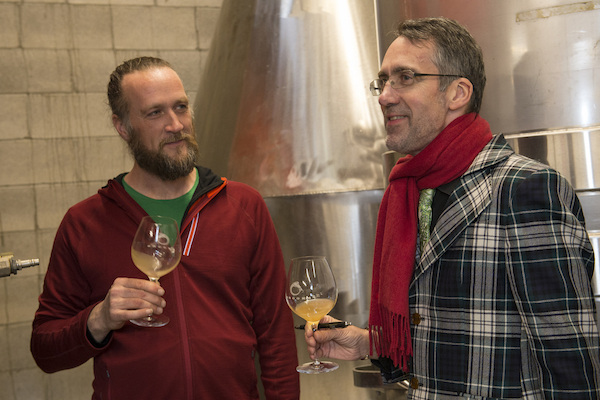 “When you are looking at that amount of Riesling in this state, it accounts for 3 percent of the vines, so there’s not much of it — much less old vine fruit,” said Pierce, who has worked two harvests in Germany. “We’re lucky because of all of Jimi’s connections when he was here and working with all these sites and meeting these farmers, we get a lot of old vine fruit that has so much complexity and depth. 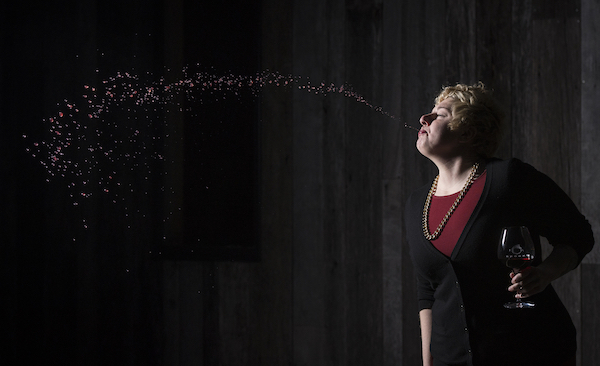 There’s also a special collaborative project among Brooks, Chehalem and Trisaetum. Those nine wines are unlikely to make it beyond their wine clubs. 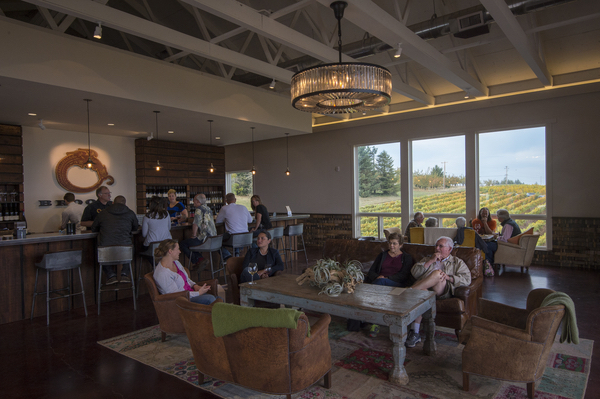 The hillside below the new tasting room features Brooks Estate Vineyard, a biodynamically farmed site influenced by the afternoon breeze that cruises through the Van Duzer Corridor. Established in 1973 as Eola Hills Vineyard, it’s dominated by Riesling and Pinot Noir. Farther down the hill is the young Muska Vineyard and Crannell Vineyard. Crannell produced stunning Pinot Noir for Myron Redford when he owned iconic Amity Vineyard, and Brooks recently signed a 10-year contract with Crannell to lock up not only the Pinot Noir and Gamay but also the Pinot Blanc. And while Williams’ focus is on the North Willamette Valley, the Columbia Gorge continues to fascinate him and allowed him to launch his special Terue project from young York Hill Vineyard near Hood River. The history and synergy between the winery and Don Byard stems from the early days of Brooks. “Don and Jimi had become really good friends,” Pierce said. “Jimi was farming this site, and Don had three daughters, and none of them were interested in either becoming a winemaker or tending a vineyard, so they had a handshake agreement that Don would sell the vineyard to Jimi when it came time to retire. It wasn’t until 2014 when the 5-acre site became the new winery facility, while that woman’s farmhouse has transitioned to a charming cottage used by winery interns and members of the wine industry. There’s the belief that at least someone in the family will sink deeper roots among the vines and within a stone’s throw from the winery. 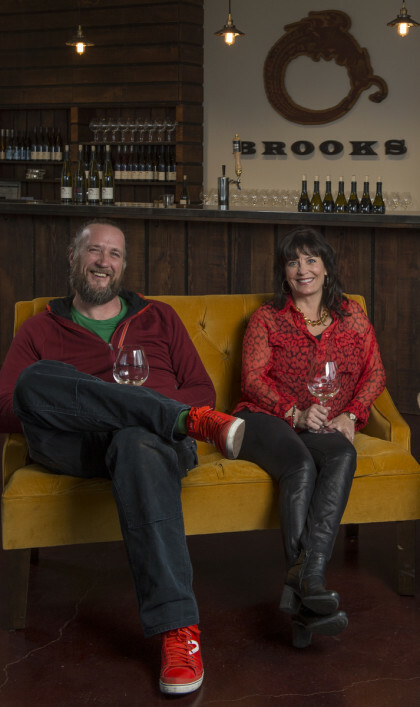 Despite graduating from Arizona State University with an accounting degree and living near Monterey Bay, Brooks-Heuck remains devoted to Brooks Wines and has become a beloved member of the Oregon wine industry. The health care industry executive and mother of two has studied viticulture and enology at University of California-Davis and sits on the board of directors for Wine America and the International Riesling Foundation. She also helps organize the International Pinot Noir Conference. “She’s definitely a native Oregonian, so I can see her back in Oregon someday,” Williams said. Pierce, who gave up a career as a restaurant manager/wine buyer in Portland before joining Brooks in 2014, also is convinced her boss will return from Pebble Beach, Calif., in a few years. Few of those who visit the winery have a sense of the history that surrounds the property. Don and Carolyn Byard established the vineyard when there were just nine wineries in Oregon and later joined the industry as Hidden Springs Winery. 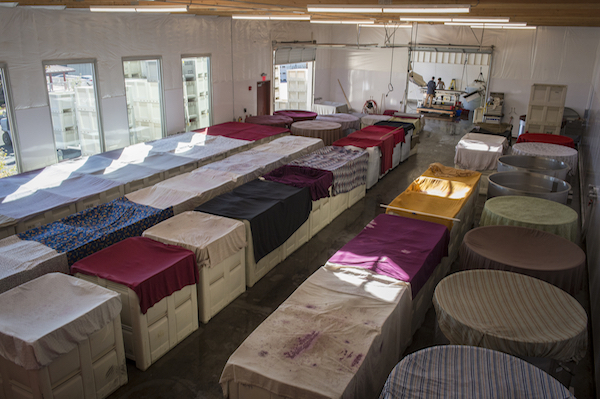 By 1993, they sold the production facility — but not their vines — to Gino Cuneo. In 2001, Sam Tannehill and Cheryl Francis took over. Their friend from Portland, Jimi Brooks, had launched his own brand three years earlier. And now with the friendly and nicely appointed tasting room, there’s a sense of fellowship that would make Jimi smile. He’d also appreciate the use of the “Rasta bar” from his old facility, which now can easily accommodate the 170 folks who come from Portland and Salem on Friday afternoons for pizza in summer and paella during the cooler months. “We have a goal, and that’s to share our story and share our wines with everybody,” Williams said, “so to be able to build a place where people actually come and seek you out as a gathering place – as a place to meet up with friends, as a place to just hang out – that’s what Jimi always liked to do. Very nice article Eric! Thanks for putting together all the interviews and stories. You’ve got some great quotes and insight here, and I enjoyed the read!